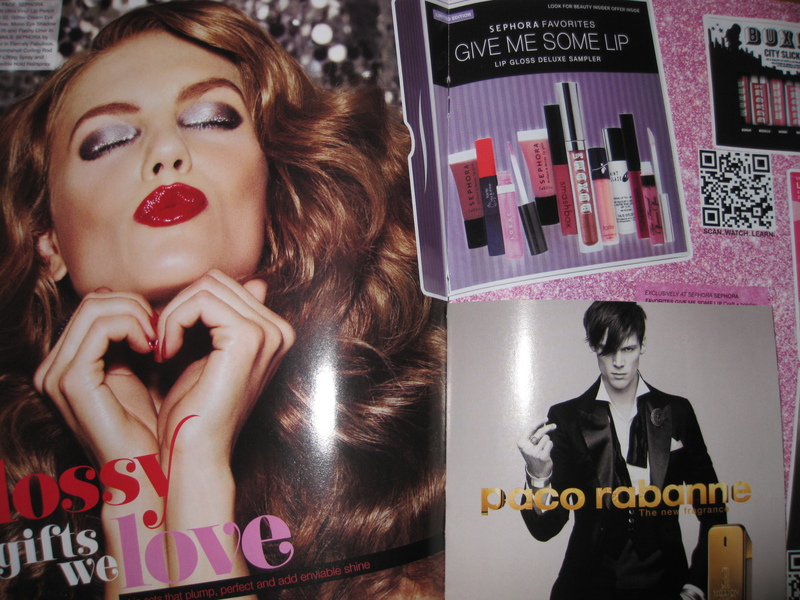 Kalifornia Love: Did You Miss the Sephora F&F Sale? Here's a 2nd Chance at it! 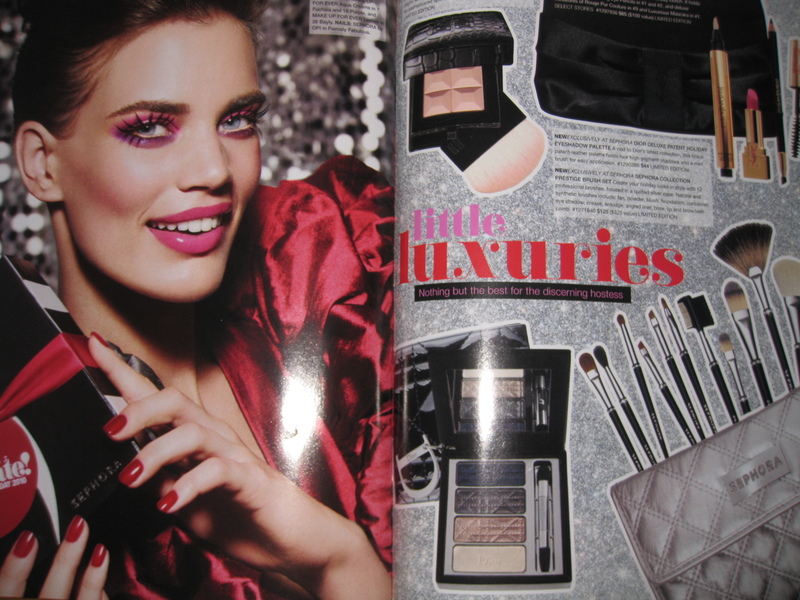 Did You Miss the Sephora F&F Sale? Here's a 2nd Chance at it! 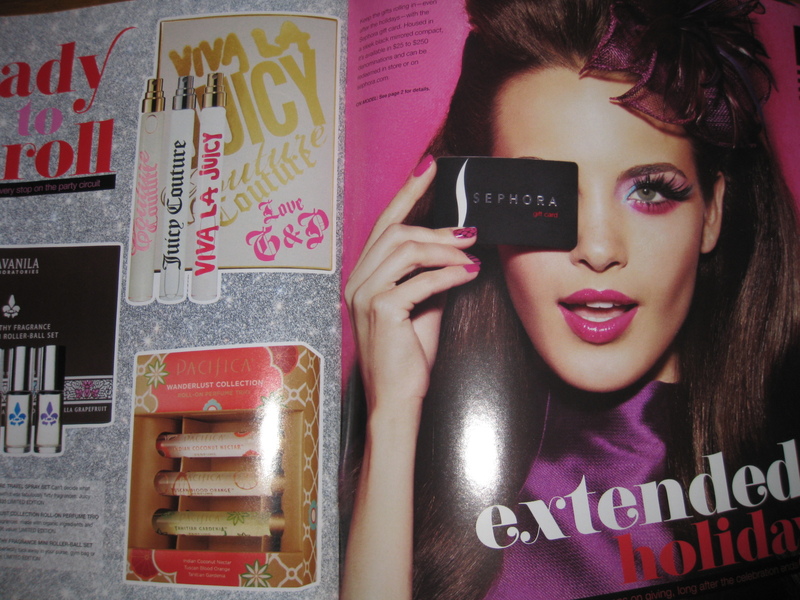 I love when I get mail from Sephora. 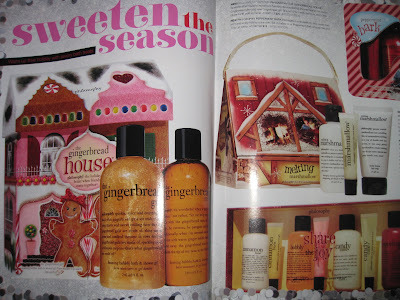 The catalogs are gorgeous and I love pouring over the photos and new products (even though I've seen most of them online already.) Anyways, Sephora is having another promotion but only for VIBs. If you're a VIB and you missed the Friends & Family Sale, you will have a second opportunity to receive 20% off their purchases from November 11-15th. And if you're a VIB and can't make it to the store, use the code VIB20 online for 20% off your purchase. This too will be valid from November 11-15, 2010. P.S. You can also use this coupon inside Sephora inside JCPenny stores. 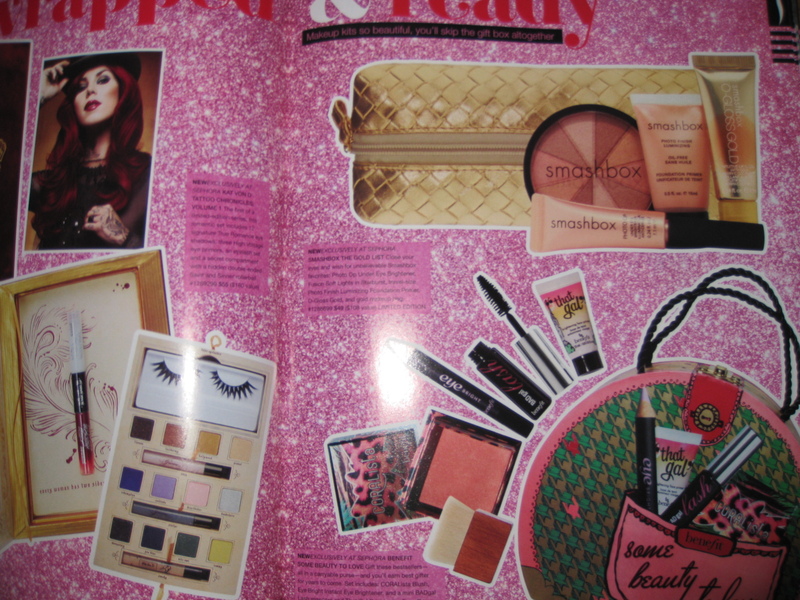 Now for a peak of the catalog.. I got the catalog too but not the VIB card :( Can I be your "friend" to tag along to the sale? LOL JK. Are you planning to pick up anything Kali? 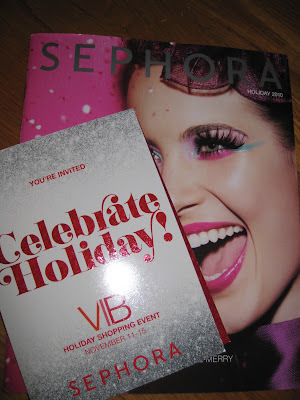 I'm a VIB and I never get catalogs! I don't know where they go! I am tempted to try that code on canadian orders but don't want to be disappointed again to find out it's us only, damn you sephora. The holiday gift card is online too so you can browse it all, which is pretty neat. hmm I tried entering the code and it says it hasnt started yet, and nothing about it being US only, I wonder if it will turn into US only on the 11th... tempting. OMG!!! I'm so jealous!!! 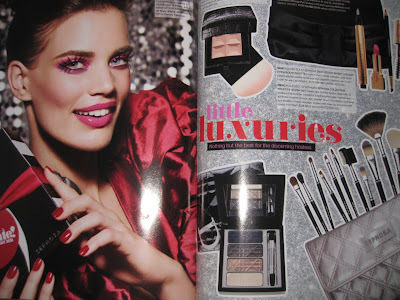 unfortunately, i'm not a VIB member.. and i don't usually spend enough to even become one LOL. Enjoy your discount! I'm still waiting for the 15% one where anyone can use. 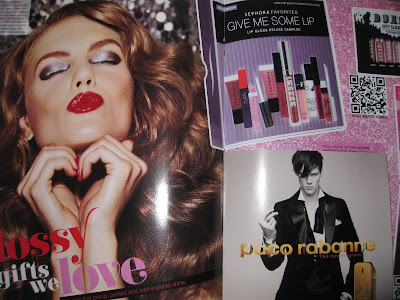 i'm also on their mailing list so hopefully that 'spend $35 and get $15 off' coupon comes!! OMG! 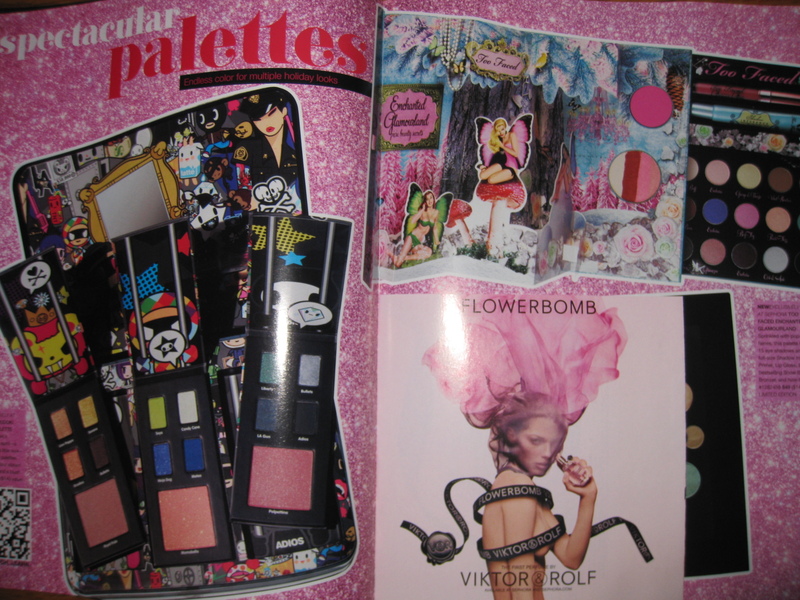 is that a tokidoki palette? I love tokidoki! 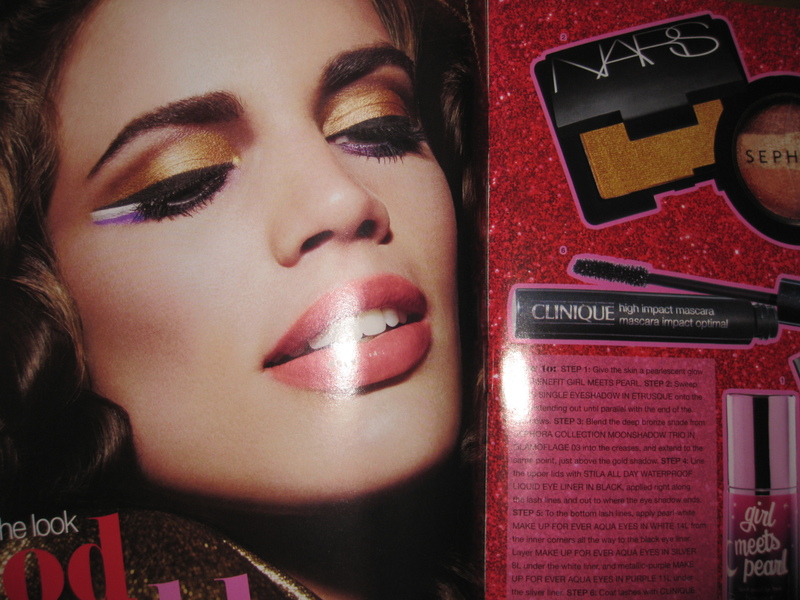 I have their prisma gloss and i need that palette!! @ Justine.. Hmm.. I'm curious too! If you're a VIB, I don't see why you shouldn't be able to get the discount! It really stinks though that Canadians aren't included in so many of the promotions. @ Pamela.. I love the $15 off $35 coupon! <3 Such a good deal! @ Amy.. LOL that's true. 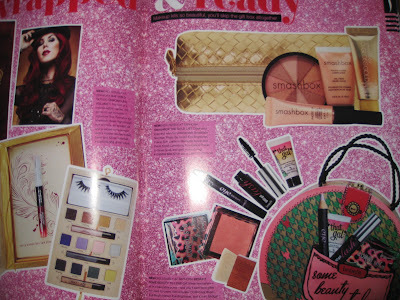 VIBs and makeup junkies can't resist a good beauty discount! @ Anonymous.. 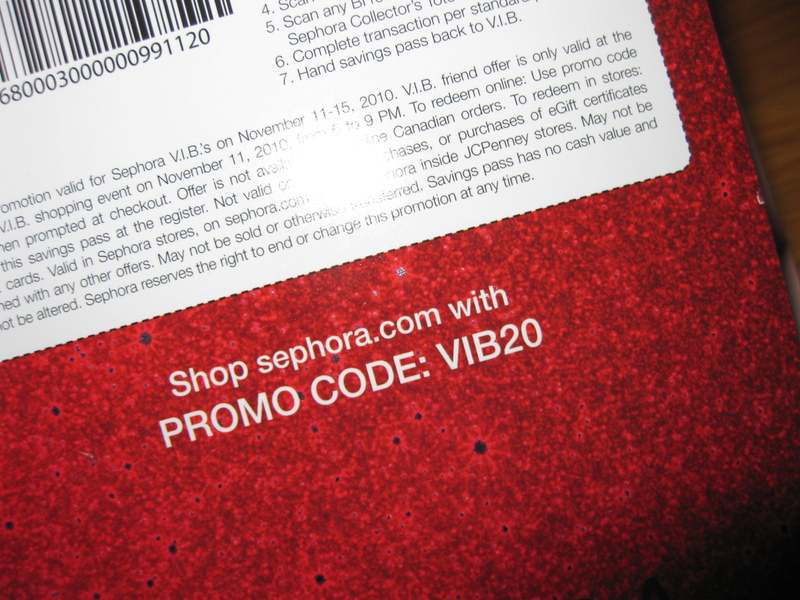 I hope you're a VIB so you can get 20% off! The kit's pretty cool -it's basically a set of 3 Tokidoki palettes. I also got the catalog in the mail yesterday but there's no 20% off coupon. 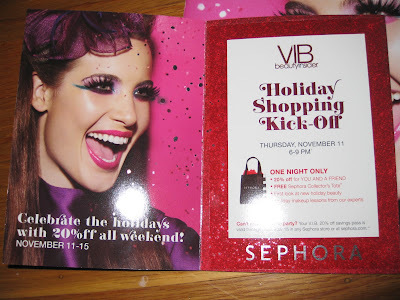 Seeing that I have just been promoted to a VIB (received an email from Sephora, also yesterday, about my new status), I guess they didn't have time to include the coupon in my catalog. 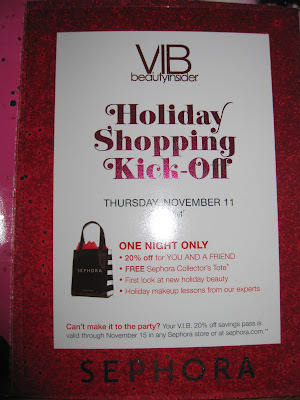 I wonder if they would also email the VIB 20% off coupon once the date gets closer. I'm not sure yet if I want to buy anything this time seeing that I've already splurge quite a bit during the FF Sale. But it would be nice to have the coupon just in case. If you do happen to buy something in store during Nov. 11-15th, just show give them you're BI card. When it's scanned, your status should pop up and I'm almost certain they'll give the discount -they shouldn't reject it if you're a VIB.